Consumers and nail technicians apply gel nail polish the same way as traditional polish. However, an ultraviolet or LED light then cures the gel nail polish to harden the gel. Gel nail polishes typically come in both soak-off and traditional options. Traditional gel polish is sturdier and must be scraped or filed off. On the other hand, soaking the nails with acetone pads for approximately 10 minutes removes soak-off gel polish. Several beauty bloggers, such as from nailsandpolish.com and skincarestop.com recommend six gel nail polish brands to try at home or the salon. Harmony Gelish polish is the first bottled gel polish invented, and it has remained a popular gel polish choice. 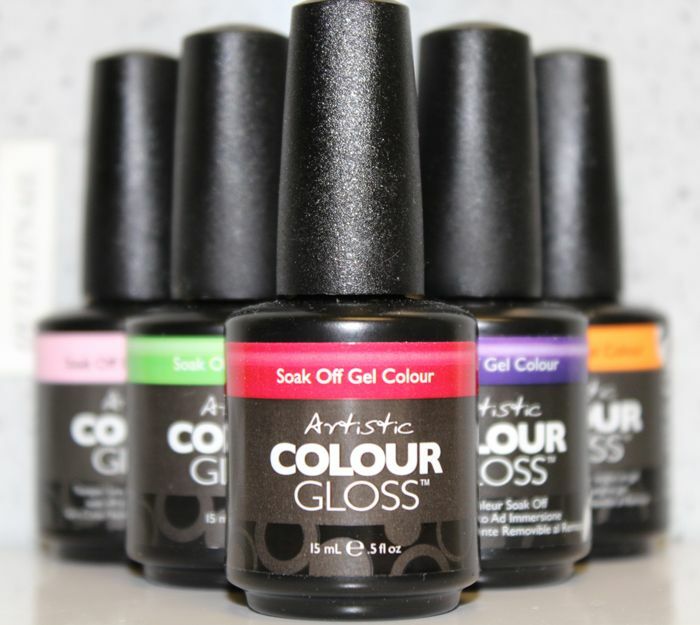 Gelish polish comes in both soak-off and hard gel options and promises three weeks of no chipping. The company markets Gelish polish with the full Gelish system, and it is typically only available for direct purchase from the company by salons and nail technicians. Consumers can access this brand through online vendors but should expect a salon-quality price tag. Like its popular traditional nail polish lines, OPI also makes a solid quality OPI Gelcolor line. While not quite as expansive in color selection as its traditional line, OPI Gelcolor offers gel polishes in consumer favorites such as London Park After Dark, and OPI Ink. While only salons and nail supply stores originally sold OPI, OPI lines, including Gelcolor, are now available at mortar-and-brick stores and online at eBay. Similar to the Harmony brand, a consumer must be a licensed beauty professional to order directly through CND for its Shellac line of gel polishes. Also similar to Harmony, consumers have access to this brand through independent online sellers. CND Shellac provides a wide range of around 70 colors and promises at least 14 days of flawless wear with no nail damage. Further, CND Shellac gel polishes are suitable for layering to create an even broader color spectrum. In addition to a line of Pro Gel polish, Sally Hansen also offers a comprehensive gel nail system with a UV lamp and other supplies for up to 10 gel manicures. This makes the Sally Hansen Pro Gel a smart choice for consumers new to gels, which includes the promise of Sally Hansen quality polish. Consumers can also purchase Sally Hansen pro gel nail polish separately in roughly 24 different colors. IBD Just Gel polish is another top brand of gel polish that salons often use. IBD offers both varieties of gel polish, including soak-off gel polish and traditional gel polish, denoted as "UV polish" by the brand. Each type of gel polish is available in approximately 90 different colors. Similar to IBD gel polish, EzFlow TruGel also offers both soak-off and traditional gel polish options. EZ Flow TruGel provides both types of gel nail polish in approximately 65 shades with finishes ranging from cremes to glitters. Further, EzFlow TruGel also offers an expert gel art kit for those who do not want to sacrifice creativity to switch to gel polish manicures. This one is added on suggestion of a nail art lover, just like me! Some consumers purchase gel nail polish to take with them to their favorite salon. Other consumers choose nail salons that use their favorite brands of gel nail polish. Additionally, some buyers want to give themselves gel nail manicures in the comfort of their own homes. Because doing so requires more supplies than just the polish, below is a comparison of some of the top gel polish systems available to everyday consumers in stores and online. Each $ in the chart below represents approximately $20 increments. Both IBD Just Gel and EzFlow TruGel provide additional types of starter kits for novice gel nail polish users to advanced nail technicians. Each company listed above also provides additional tips and instructions on their brand websites for getting great gel nail polish manicures.